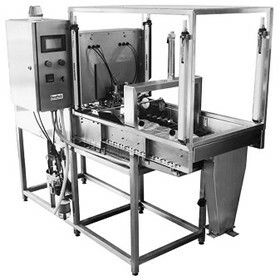 Flex Pack builds a range of liquid filling machines for the Bag-in-Box (wine cask) package, drums and pails for most non-aerated liquid products. Semi-automatic filling bulk containers, 200 litre drums, 1000 litre IBCs, using a hygienic fitment to allow hands free capping. We are suppliers of complete filling production lines on a turnkey basis. 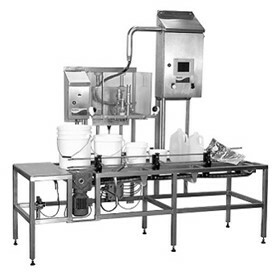 These lines include upstream equipment and downstream equipment such as product preparation (pump, filters and C.I.P. 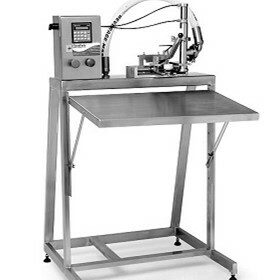 systems), carton sealing machines and conveyors. 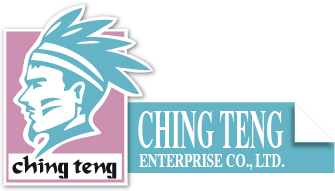 Our clients come from various industries and have diverse uses for our machines, from food service packaging, cook chill systems, dairy products, beverage products, to chemicals (detergents and disinfectant) and oils. It is the commercial adaptation of the age old idea of a collapsible liquid carrier. The principle is simple but effective. 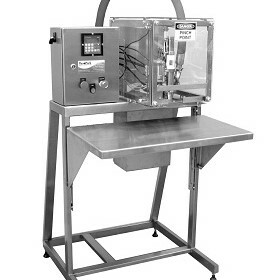 By using an oxygen impermeable bag, and ensuring that all air is extracted from within the bag during the filling operation, the contents of the bag will remain in good condition irrespective of whether any of the liquid is withdrawn through the special dispenser. As the bag collapses when the contents are dispensed, an even flow is ensured so that no contents can be trapped in the folds of the bag. The outer container which holds the collapsible bag has an aperture through which the dispenser is positioned, this makes the whole package convenient, lightweight and secure. Flex Pack remains a company flexible in its approach and dedicated to developing products to suit customer’s individual requirements. 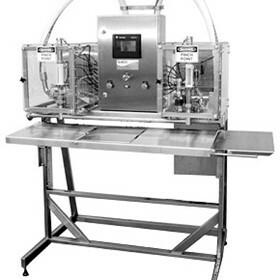 Flex Pack was formed in 1987 to service the wine cask market and has since developed a wide range of filling machines capable of filling most non-aerated liquid products into bags, drums and pails. The Principal/Director Mr Mark W Brown has been in the liquid packaging industry since 1975 and has worked specifically with Bag-in-Box packaging since its commercial inception in the ‘wine cask’ market.